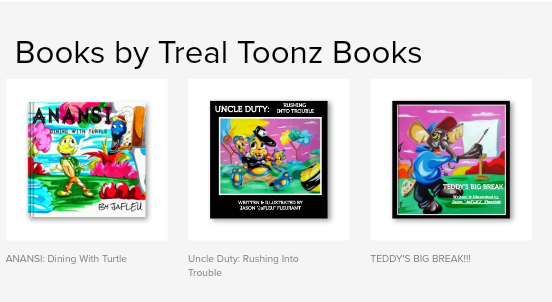 I spent a good chunk of April preparing the next Treal Toonz release. "That One Time Upon A Drum" is a retelling of the Cinderella story. 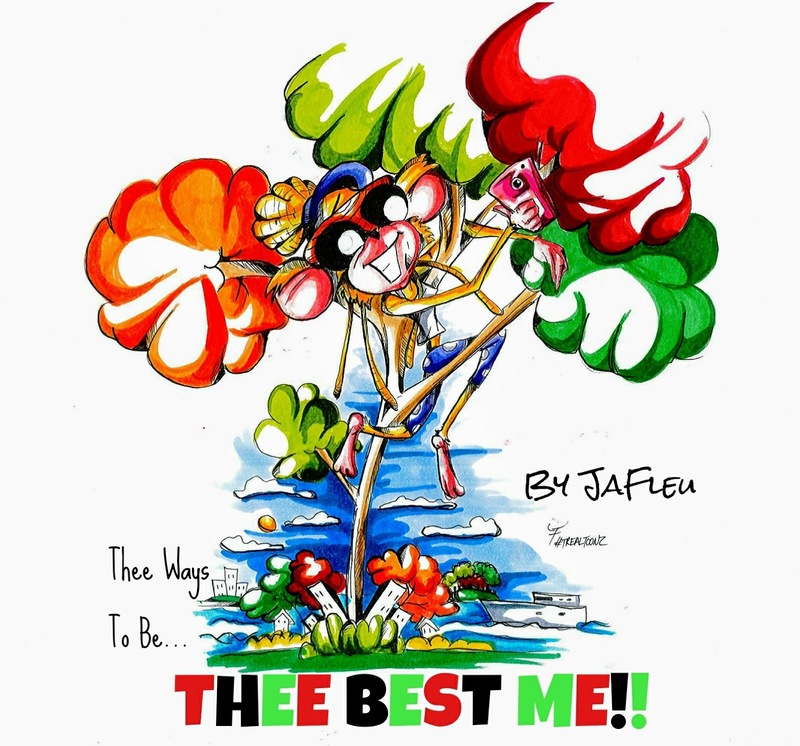 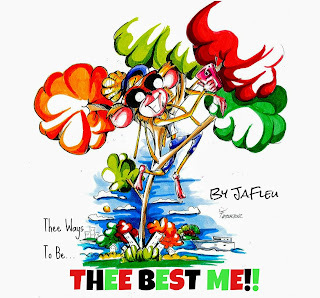 But using my Treal Toonz characters and give the story a different spin. 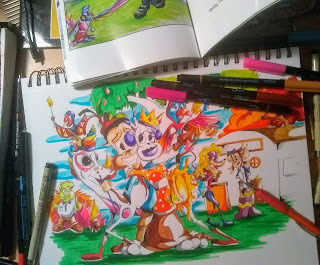 There's 24 watercolor markers painted pages. 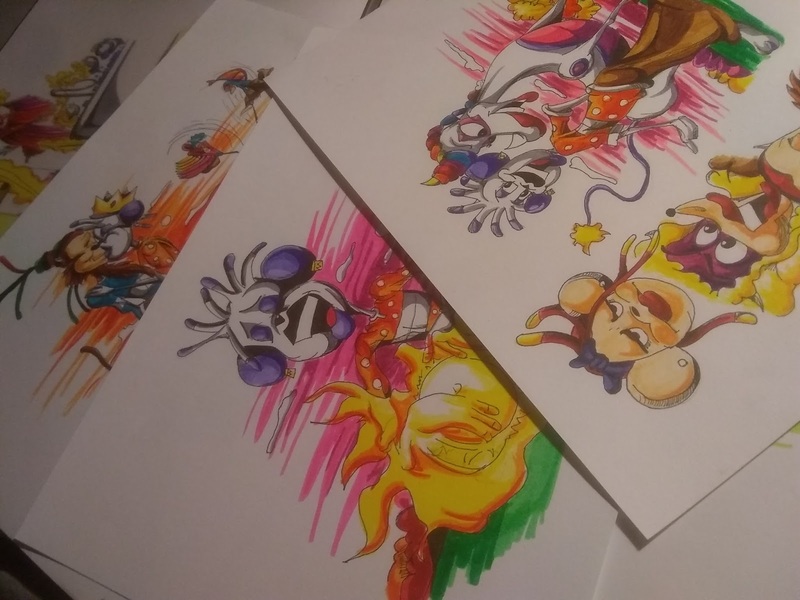 The process of drawing, inking and the color is always daunting but worth it. 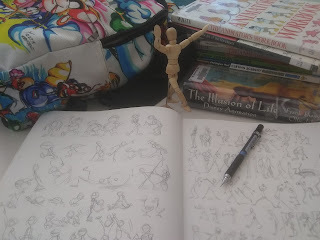 I taught myself more about the principals of animation: movement, expression and such and tried to really showcase it to give the characters life! "That One Time Upon A Drum" will be released in May. 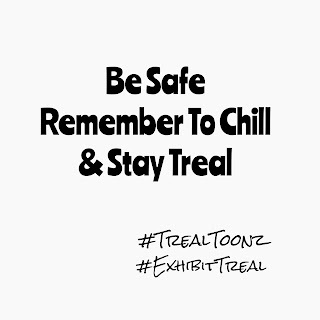 And you'll be able to see the original work at my upcoming Treal Toonz exhibit "Previously On..."
It's that time again for new Treal Toonz!! 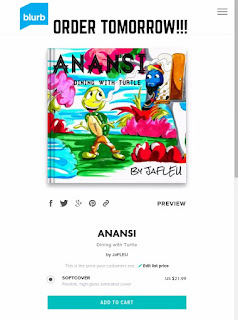 And to go along with the latest release is an announcement. 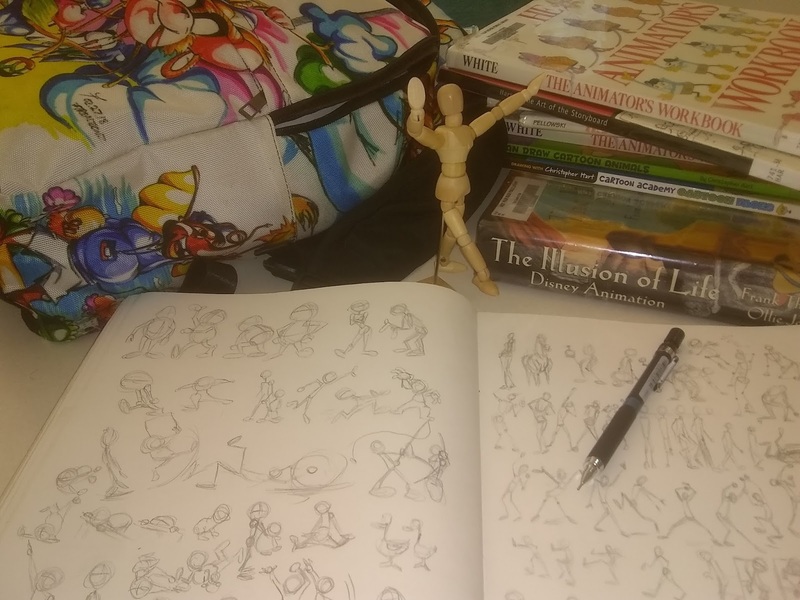 Kristina Koalis takes you through her process to be the best version of herself in life. 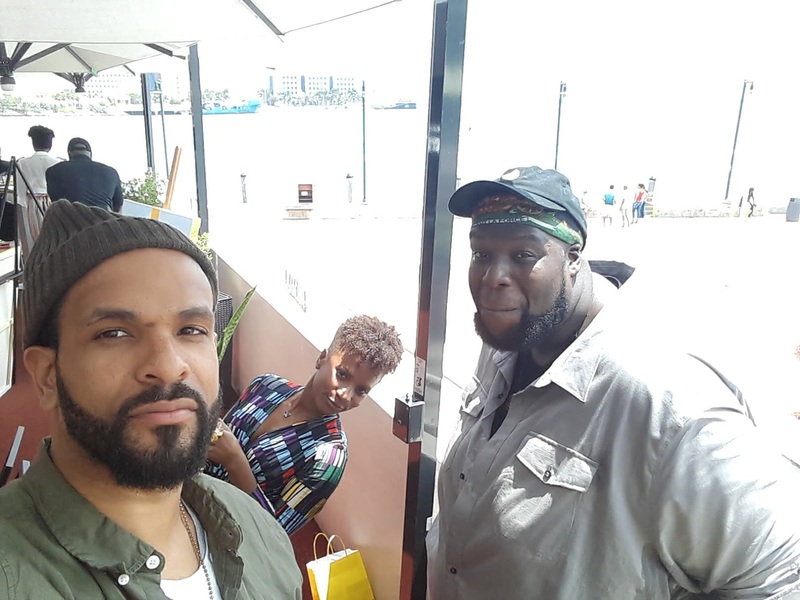 Be it through meditation, quality time with friends and more. 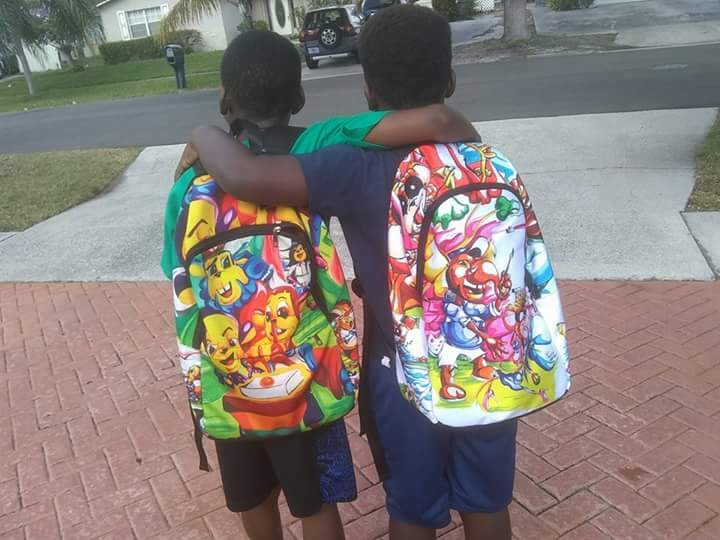 All to show the importance of loving oneself. 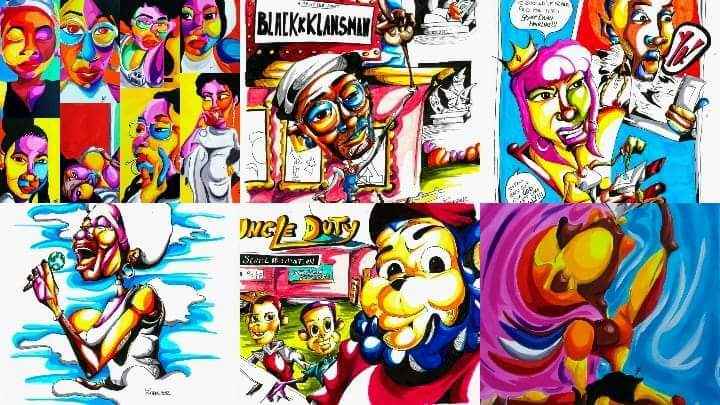 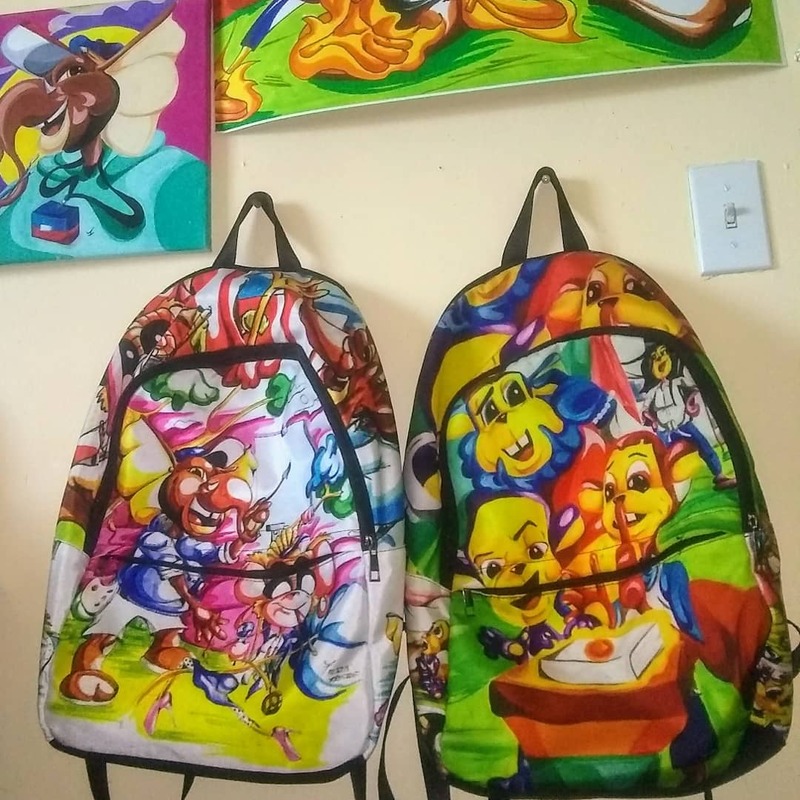 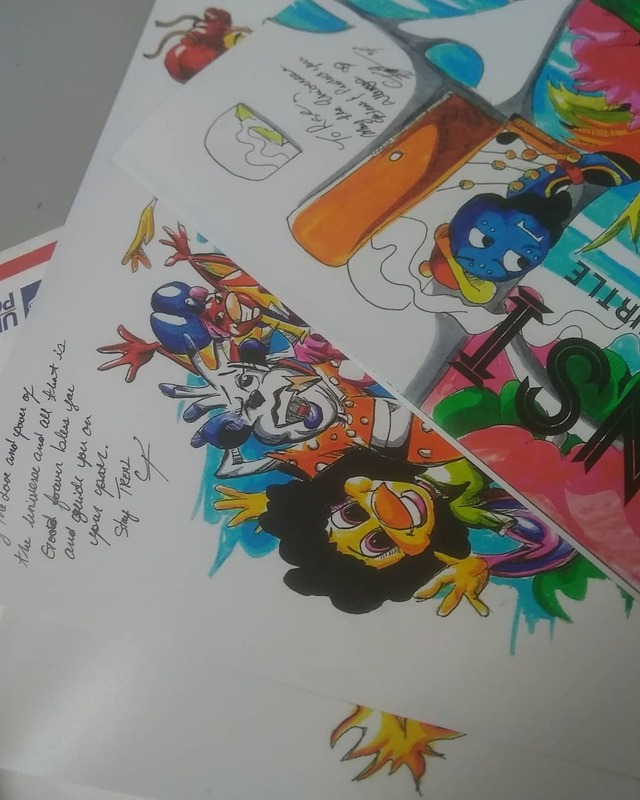 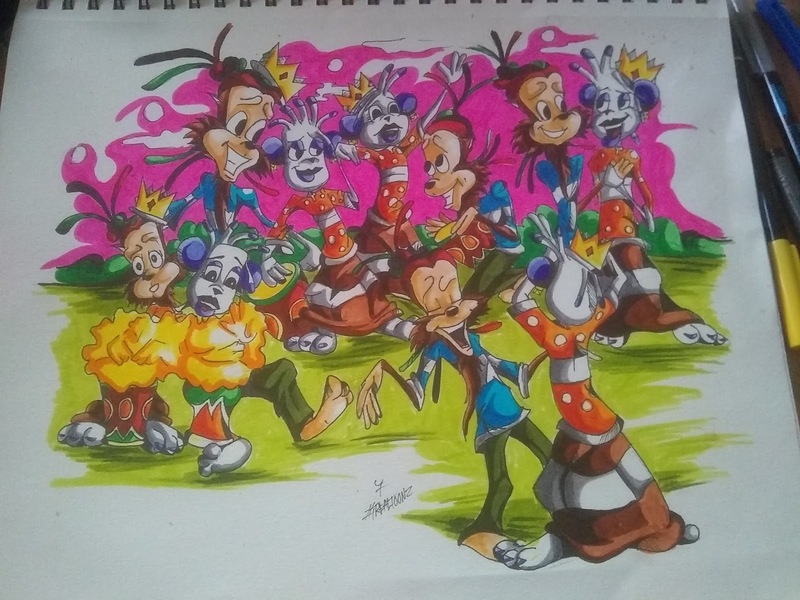 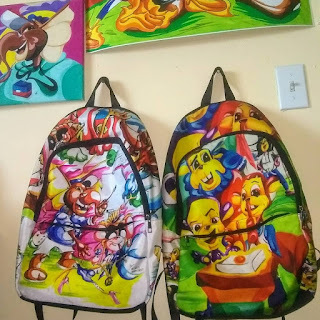 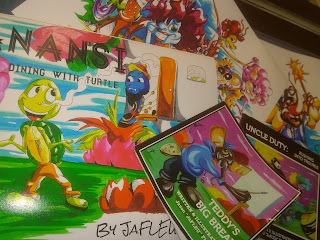 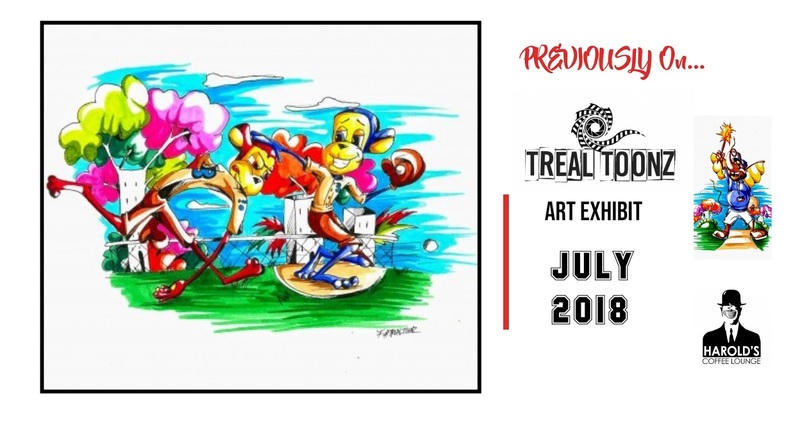 This month of July, "Previously On..." An art exhibition of new Treal Toonz paintknhs, Illustrations and more will be held at Harold's Coffee Lounge. 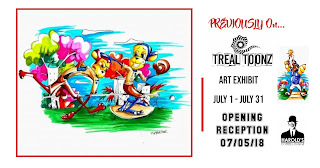 The date for the opening reception is TBA. 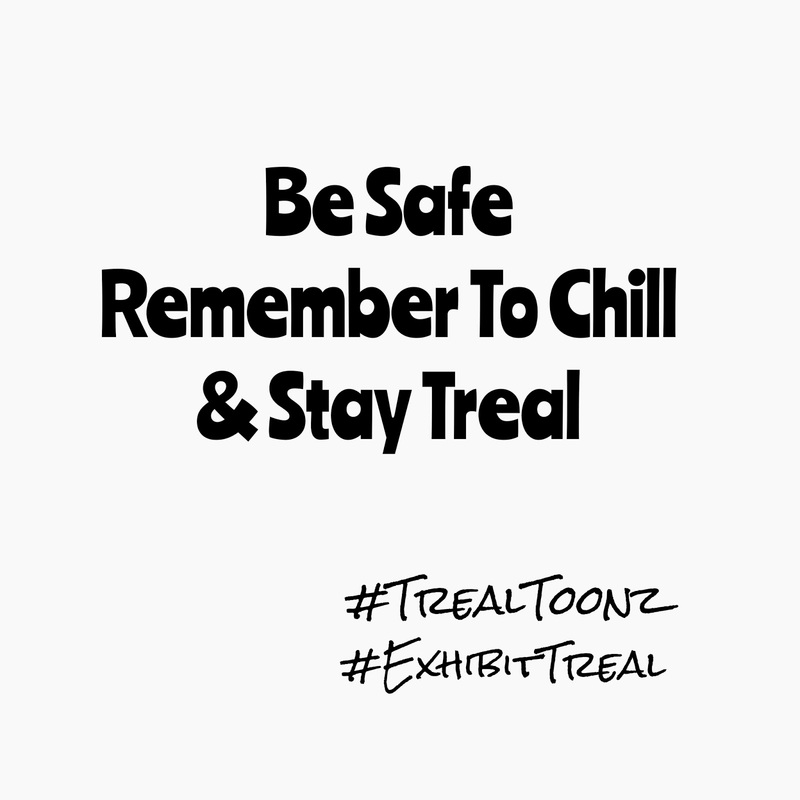 So make plans this summer to visit! 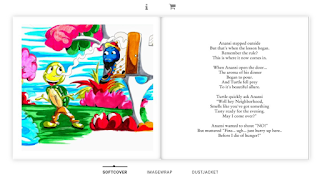 Looking for Illustrations for Your Book? Many a things have been going on! 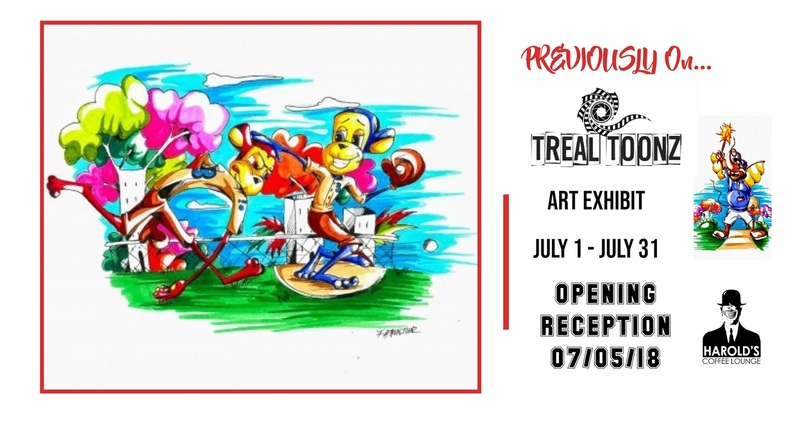 It's an exciting time as we get to enter the summer. 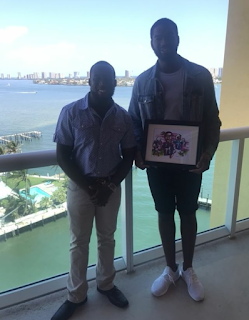 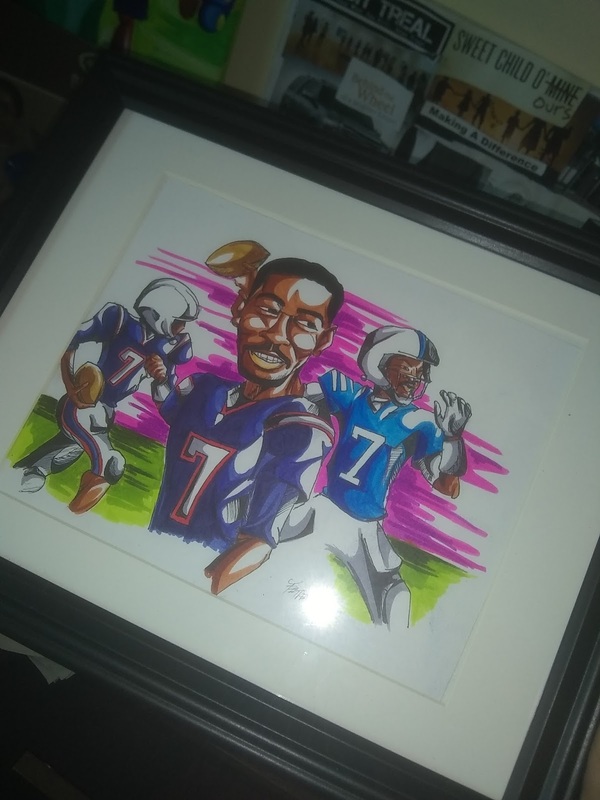 One such thing is NFL Superbowl Champion Jacoby Brisset is now officially an owner of an orginal Illustration of himself after purchasing his new condo via my brother EPG The Realtor. 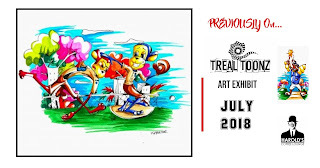 Treal Toonz at Summer In Paradise! 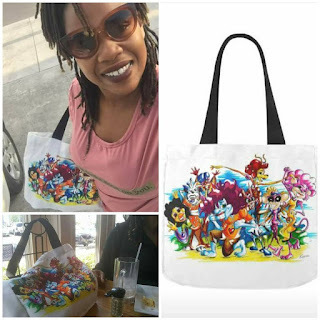 And keeping the blessings rolling, I was selected as one of the artists that will be taking part in the city of West Palm Beaches "Summer in Paradise Fairytale Village". 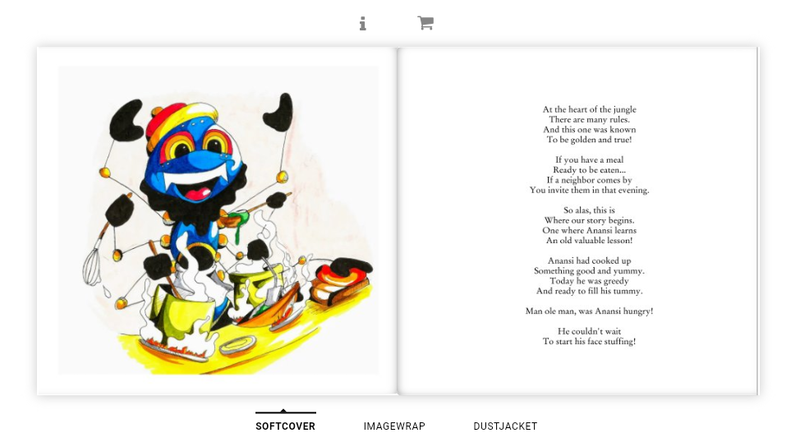 Last year I was honored to do the project last when the theme was Aesop Fables. 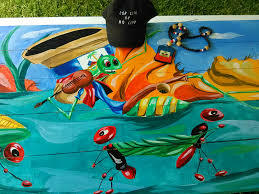 Of which I did "The Grasshopper and the Ants". 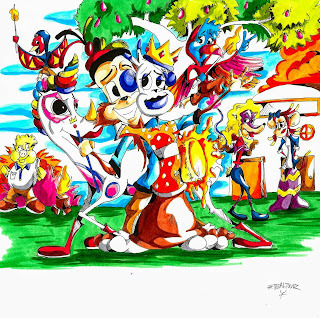 This year Habitat for Humanity will be supplying Playhouses that we will be create our chosen fairytales/fables on. 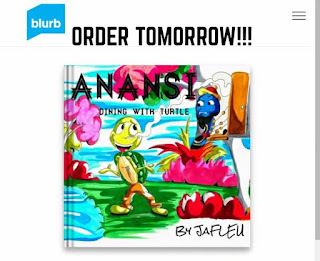 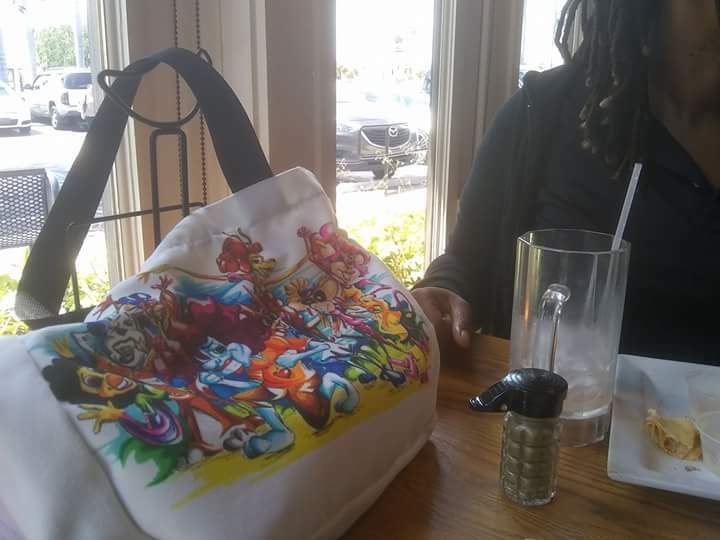 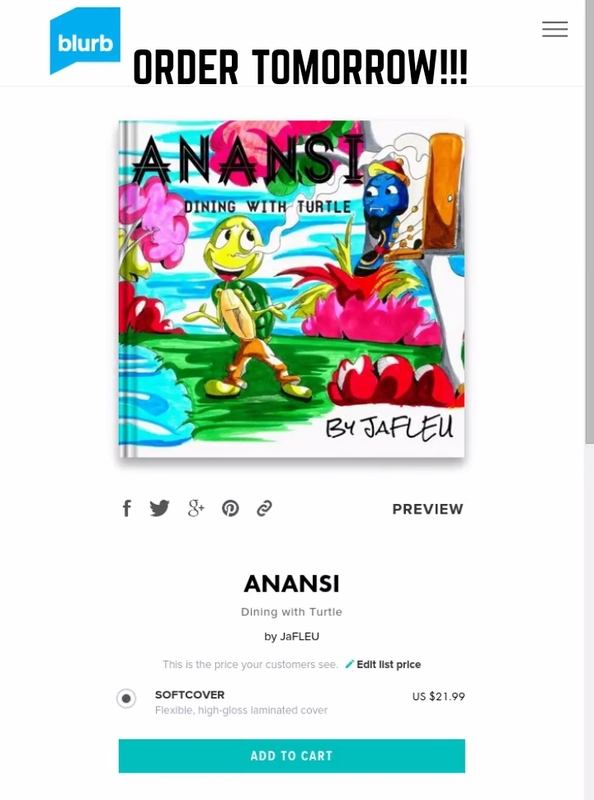 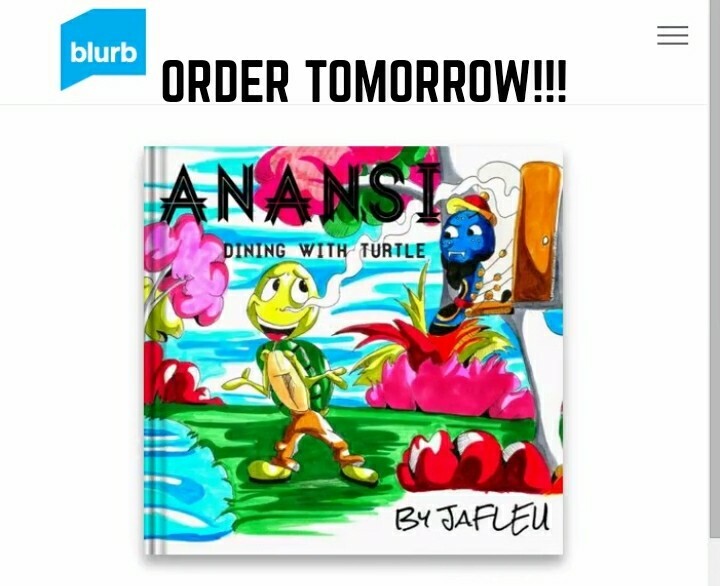 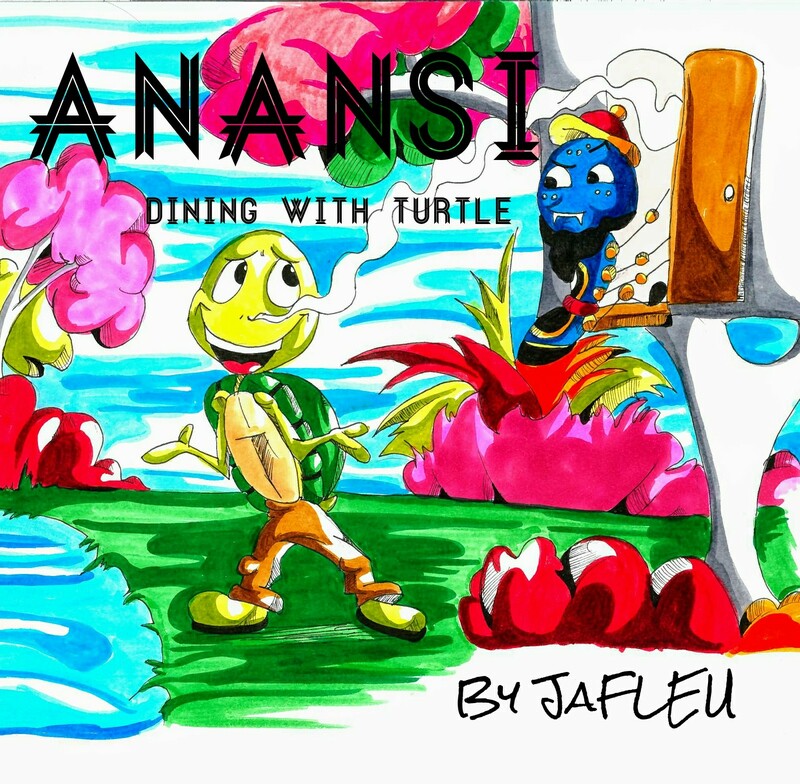 This turns out great because Anansi and the Turtle was a option and since my book "Anansi: Dining with Turtle" is based on the fable that is the art I'll be doing. And I'm paired with The United Way of the Palm Beach County as the chairty this year. 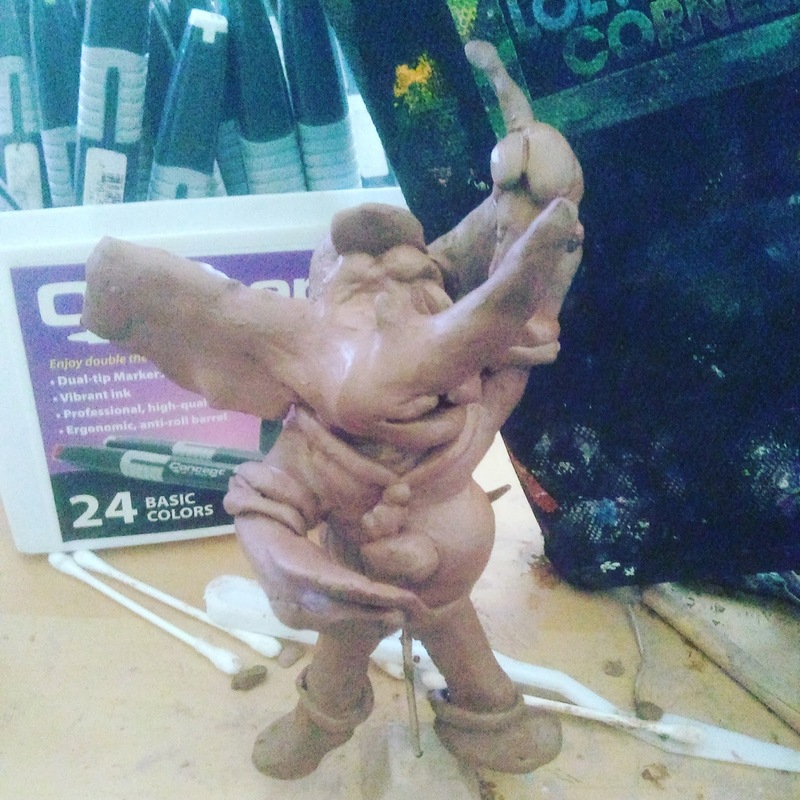 Since I've been messing with Sculpting lately I intend to add some of Anansi and Turtle to my piece. New Teddy piece coming soon! 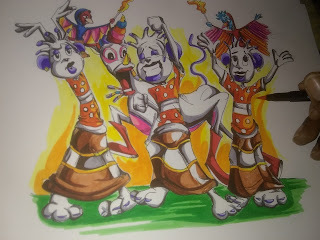 Also due to release in May "That One Time Upon A Drum" my retelling of Cinderella is coming along well. 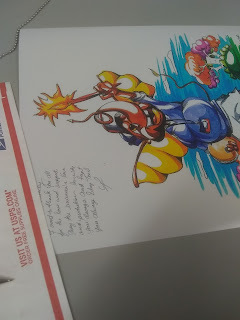 I'll drop a separate post about it soon! 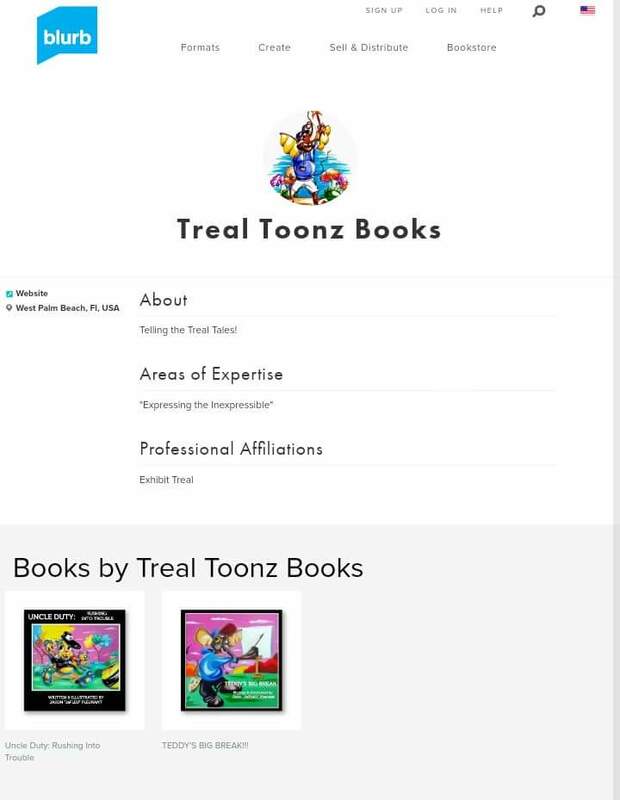 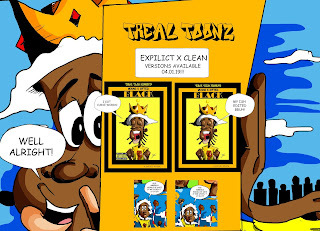 Dont forget to get your Treal Toonz merchandise! 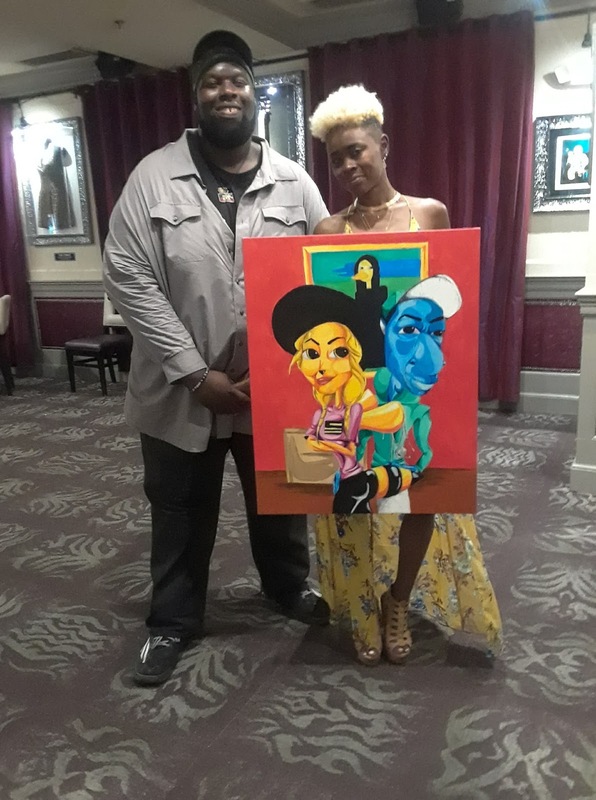 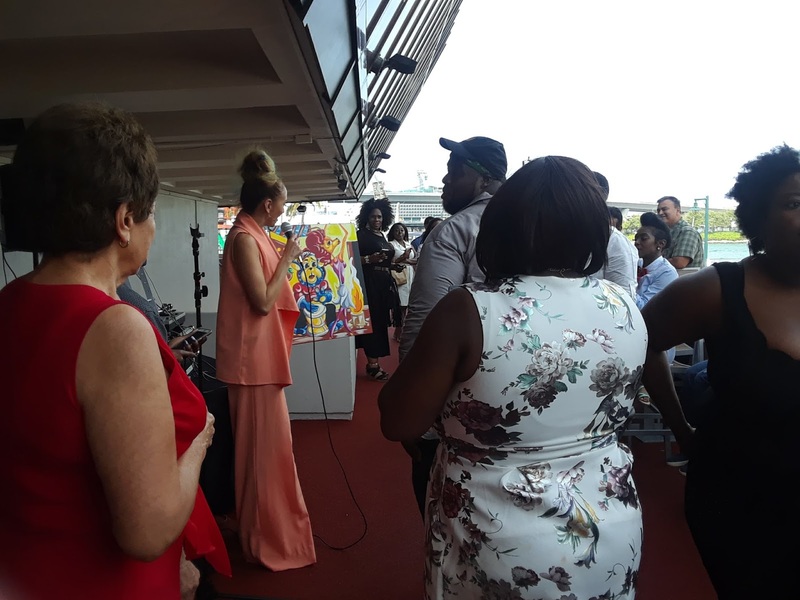 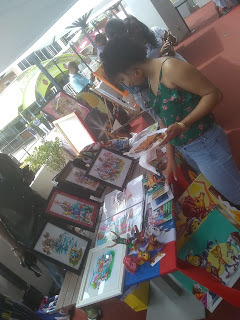 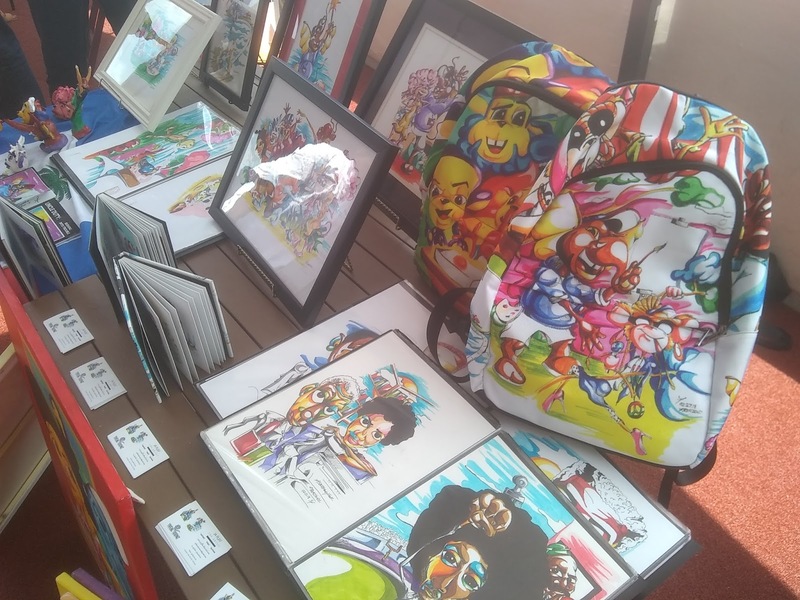 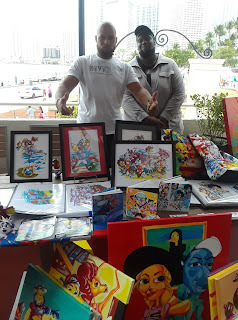 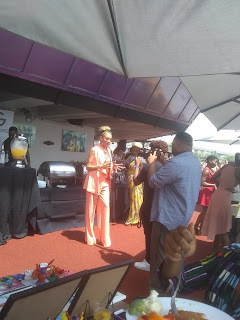 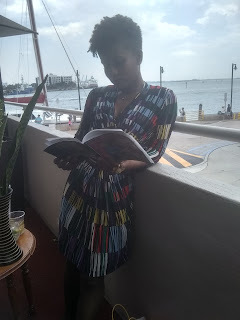 Sunday I had the pleasure of showcasing my Treal Toonz art work and books at the Steppin Out TV Media Empowerment Brunch. 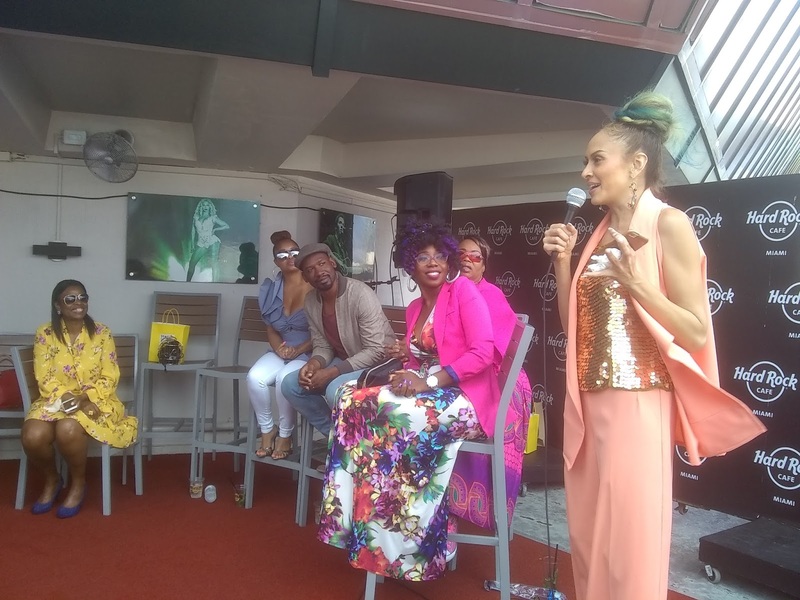 It was held at The Hard Rock Cafe in Miami. 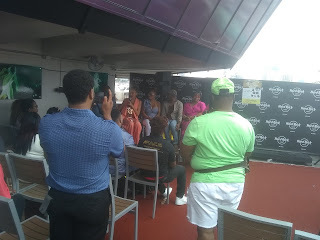 I had a great time, the vibe was amazing. Host Ardith Valencia created an incredible event! I made a lot of great connections, and plenty of opportunities came rolling in. 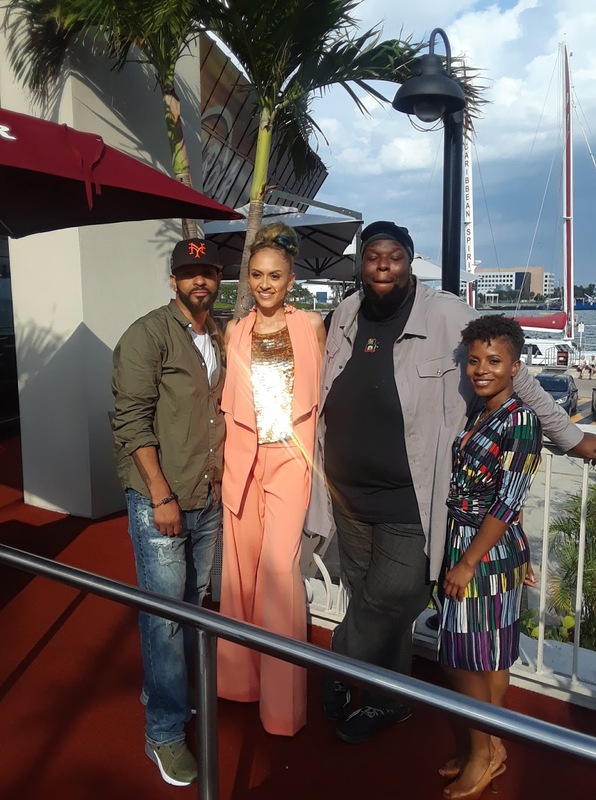 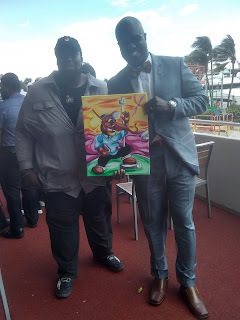 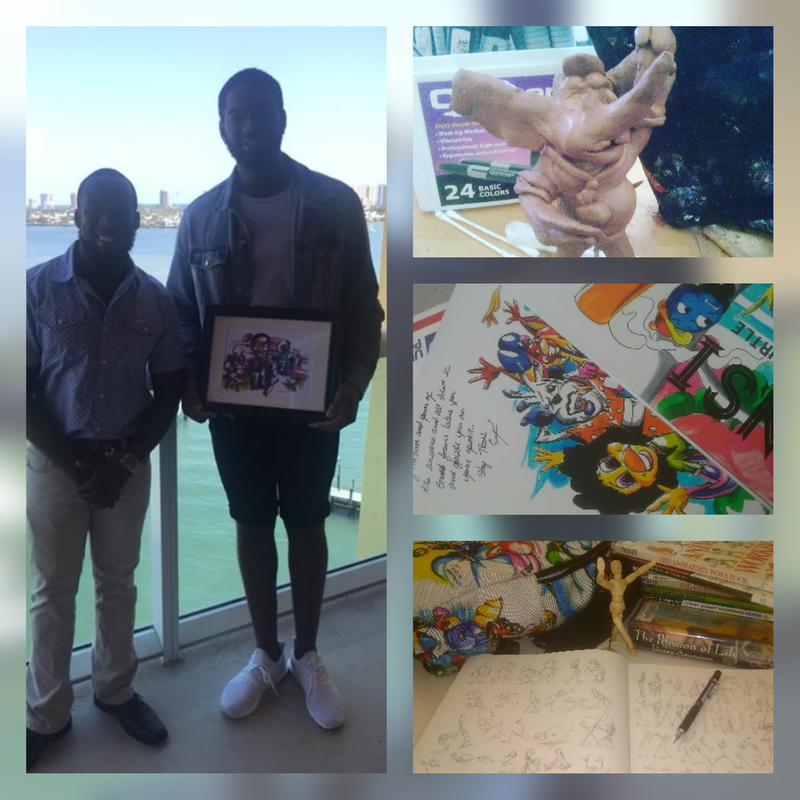 I even got to kick it and bless Miami Garden's Vice Mayor Erhabo Ighodaro, Ph.D and am really looking forward to working with him with getting Treal Toonz to the people. The Panel discussion was certified TREAL!!! 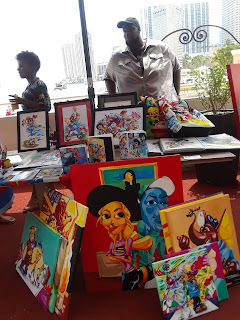 And you know I couldn't not bless the wonderful experience back with some pieces. 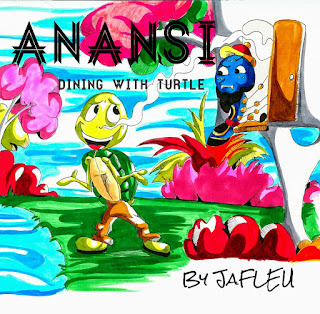 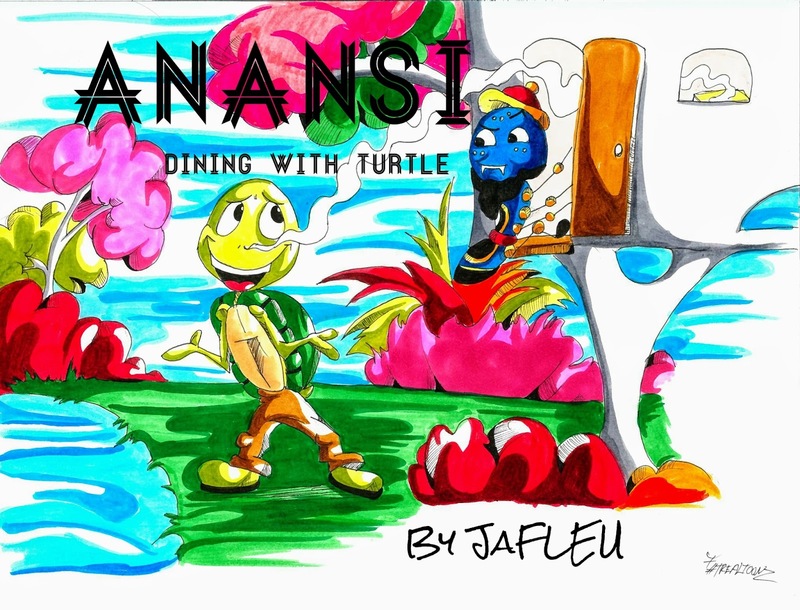 New Treal Toonz Children's Book: "Anansi: Dining with Turtle"
Anansi is a trickster bout when he and Turtle have dinner. 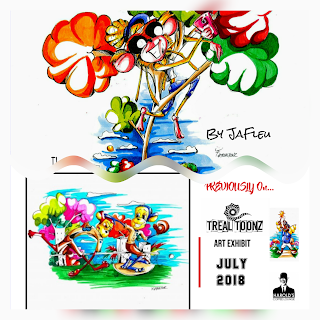 He learns the valuable lesson that "What goes around, comes back around"!